Every year millions of Americans are cheated out of their hard-earned money by scammers. The types of scams are always evolving as crooks try to find new ways to smooth talk, confuse, or intimidate their “marks”. But you don’t have to be one of their victims. Here are five ways to protect you and your family from scammers. 2. Back up your computer files. The number of ransomware attacks has tripled since 2015 and it is only expected to get worse. In a ransomware attack malware takes control of your computer and you will not be able to open or access your files until you pay ransom to a computer hacker. Last year the average ransom for hijacked files was more than $1,000. Invest about 50 or 60 bucks in a large capacity external hard drive to store copies of your data. Be sure to disconnect the drive after you run your backup, otherwise the backup drive could become infected as well. 3. Put a security freeze on your credit reports and monitor your existing accounts. 4. Never pay for a contest prize. So you have won a contest? Congratulations! But did you really win? If you are asked to pay a fee to claim your prize—then someone is trying to cheat you. If the contest is legitimate then you will never have to buy something or pay a processing fee or postage and handling or supply your credit card or bank account number to get your prize. And remember: “You can’t win a contest you didn’t enter. If someone says you did, they’re lying,” advises NBC News. The best way to defeat the scammers is to be proactive in defending your money and personal information. 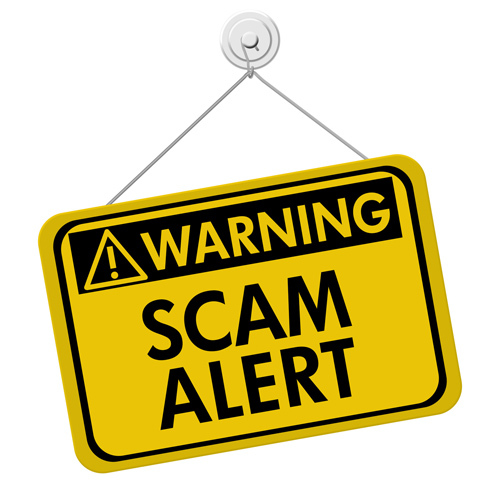 The Better Business Bureau, the FTC, AARP, and many other organizations who advocate for consumers have lots of free information to help you defend yourself against scammers. A quick internet search will arm you with actionable ways to defeat these modern-day pirates.